Log and access vibration and temperature data from anywhere. Bring high quality measurements to the popular low-cost computer. Open-source support for our most popular DAQ devices. USB, Ethernet, and PCI (PCIe) acquisition systems for a wide range of applications. Measure current, voltage, temperature, strain and digital signals with industry standard hardware backed by our one year warranty. 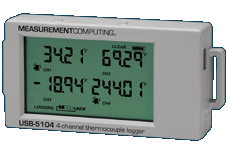 MCC offers a wide selection of temperature measurement DAQ products for use with thermocouples, thermistors, and RTDs. 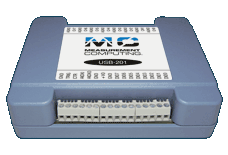 USB, Ethernet, Wireless, and Data Logger solutions are available to meet all your requirements. Directly measure IEPE-type vibration sensors, accelerometers or voltage inputs using USB and Ethernet data acquisition (DAQ) devices. 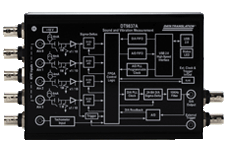 Our high-precision dynamic signal analyzers include signal conditioning so that no additional processing is needed. Our stand-alone data loggers provide solutions for recording temperature, voltage, current, humidity and more. Available with various channel configurations and each product comes with easy to use software to log, view, and process data. Board-only solutions with easy to integrate connectors. MCC recognizes that OEM needs differ from end user requirements. 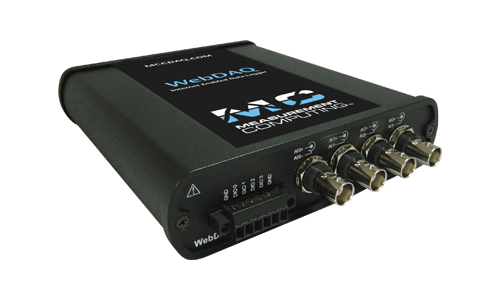 As a leading supplier of OEM DAQ solutions, MCC provides volume pricing and free technical support to get your products to market quickly. 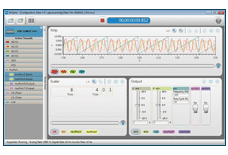 Out-of-the-box software for non-programmers, plus comprehensive drivers for VB®, C++®, Java™, NI LabVIEW™, DASYLab® and MATLAB®. OS support includes Windows®, Linux®, and Android™. Free technical support, for the life of your product, is available from qualified application engineers. MCC offers free shipping on all orders placed on-line. Shipping charges apply to all other orders. Our new Data Acquisition Catalog features our most popular products, including our newest Raspberry Pi® and IoT devices. Third edition of the Data Acquisition Handbook is available for download. The latest edition has been enhanced to address more practical applications than theoretical measurement issues. Each chapter covers a major topic with sufficient detail to help readers understand the basic principles of sensor operation and the need for careful system interconnections. 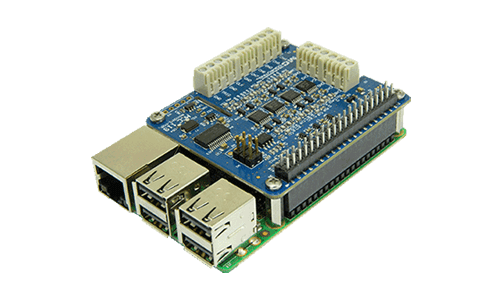 Acquire data from an MCC DAQ connected device using a test application installed on a Raspberry Pi. 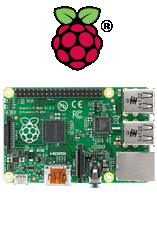 Raspberry Pi is a low-cost, single-board computer that runs the Linux® kernel-based operating system. Add high-quality measurements to your Raspberry Pi application following this step-by-step guide on how to acquire data from most MCC data acquisition devices. 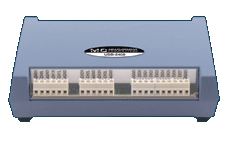 MCC’s Ethernet-based solutions are ideal for remote or stand-alone applications where a local PC is not required or is impractical. easy-to-integrate and easy-to-support with a wide range of device options. for measuring various sensor types. 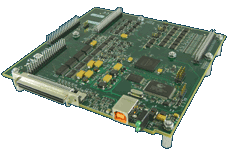 Advanced DAQ devices specializing in dynamic signal analyzers and isolated data acquisition. Products specifically designed for demanding desktop and integrated applications.